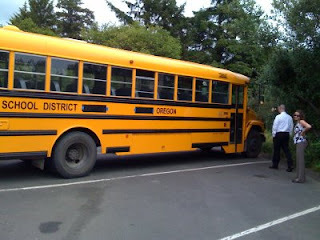 The wedding is at 4pm today and this is the bus taking us to Ecola State Park. Or the SATs. I hope I have a signal in the park.